WE SOURCE UNIQUE AUSTRALIAN GIFT PRODUCTS ACCOMPANIED WITH OUTSTANDING SERVICE. We received a hamper from Just Surprise Me recently upon settling on our new house. We were so impressed by the quality of the items in the hamper and the presentation of it as well. I highly recommend them if you are looking for a hamper with a luxury look and feel, that offers something more than your standard hamper. 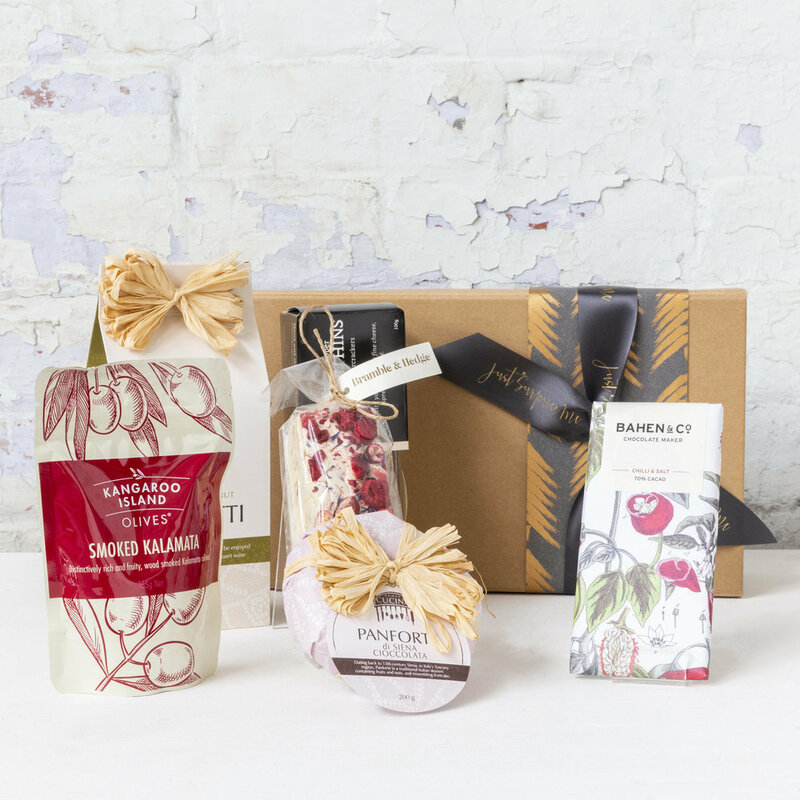 These hampers have the real wow factor when you open them! 5 stars!! My wife and I had a beautiful baby gift box delivered to our home after the arrival of our son. A really thoughtful gift from a client. We’re going to use Just Surprise Me ourselves.